Yipping and boinging, you know the drill. Your "Sunshine Pop"-Premium is a treasure chest! Arrived yesterday and listened 3 times already. Is this Bugalus a takeout or a new arrival? Sounds like we're off to a pretty good start this morning...musically speaking, anyway.... Mornin' ever-body. Good morning, beautiful people. @Guido: I just got this LP a little while ago or it might've gone on! Thanks for the kind words. I love when the morning goes pop. Thanks Joe! @glenn: If you know what comp that "Birds Row Boats" song is on, I'll play it! Your swag gifts arrived . Really nice - thanks. @brendan: Excellent! Anyone who hasn't gotten their swag should get it in the next couple of weeks. We've got armies in every day and we're working hard. 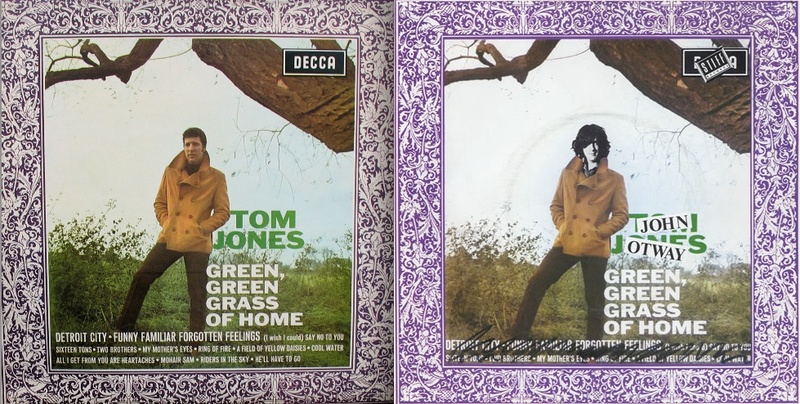 Joe..Birds Cant Row Boats is on first vol of Acid Visions, also Mindrockers series, and it shows up numerous tims on Johnny Winter comps including one called 'Birds Can't Row Boats'! Thanks, Cal, I'll have a look during a longer tune! All hail the Armies of Swag! man, haven't heard this rave-ups tune forever. nice, joe! Lovin' The Rave-Ups! Howdy Joe! Wow, this song was a heavy play on radio in the 80's. still sounds great. I've had this one in my head all week. "She loves me, she loves me not..."
A lovely tune, but the drum sound is SO OBNOXIOUS. Thats the sound of the 80s Goyim! I agree it can get hard to take. It's getting jangly in here!! I remember seeing sixteen candles and seeing the rave-ups written on molly ringwald's binder. @Common: oh man thats so dreamy! This song is on another great WFMU premium. @Cheri: Do you remember which one? Has to be one of EFD's. Hey, Greg, how goes it? Not of the top of my head Joe, but all the songs are about the electronic age. I'll look at it tonight. @adrian: Saw them ages ago, in the 90s. They have mostly a new line-up now, but I hear they have a lot of energy. Might go myself when they swing around here in the fall. Right! Joe just did one of those things that I love about wfmu!!!! ps - I too got my swag! thanks Joe! Usually, when a song is played twice, it's by accident and the DJ makes some excuse. Here, the DJ says that he's about to do and makes it happen. Yes, it must be listed again, or at least flagged as having been played twice. Swagless in Cincinnati :( Maybe today will be the day. The work-a-day world beacons - carry on all! I could see the air quotes when he said "TV"
I do, Cecile, but I thought of the transition that second and just grabbed what I saw from the shelf. I prefer the first version. Oh well! Also, when LeBron signed with the Cavs, how come nobody played "Burn On" by Randy Newman. It seemed appropriate. Like This was one of those albums I disliked at first, and my friends told me to listen to it because it was great. Then I liked it for a while cause I was seeing them live. But then I pulled it out ten years ago and it was still awfull. @ Joe -- thanks for the info! @Kitty: Yeah, a bit ridiculous. DJs shouldn't make records, ha ha. Except the Big Bopper. Kitty, sentiments from that track are still being played out today. Hey Joe! Celebrating Swagmas in July this week. It's a Sunshine Day was the first one i put on; very groovy. Thanks! Glad you liked it, Santos! @Cheri: I'm heartbroken that your swag hasn't reached you yet, but it will soon! dude, she has a friend Raven. she is offically the coolest chick ever. I have come to love Annette. Oh yeah, Swagmas has been in full force for a couple of weeks up in here. There's one really creepy song on Sunshine Day that seems to play every time I'm about to go to bed. you should make a record joe! zepp cover? I'm manically checking the mailroom every 7 minutes. Cheri, I'm near the end of the line. I got mine. You should see it really soon. I finally finished loading all my swag CDs onto my computer...and I've already gotten way more use out of my SUW pen than I thought I was going to. Is this the correct speed? I used my FMU flask at an SF con more than I thought. A pull of Boodles here and there makes many things more pleasant. and Mom, I mean Race. That gives me hope C$. well, you know the old saying, the later the swag, the louder the nag? hahahahahah, you gotta copyright that. DISPATCH THE SWAG-STEED, DAMMIT, THERE'S JAMS TO BE HAD! you mean racism - sexism? DAMN, I love that show. Heard one of the creators has been sick, so they make episodes when he feels better. New episodes in 2015, hopefully. Actually it was Bannon ..
@Kitty: I think when I make a record it will be a Waylon Jennings cover. that's weird - just realized I'm seeing any hearts next to anyone's name - ? well, more the complicated relationship between black men and women and success. There are subject matter experts all over the Web who can speak to it from personal experience. I'm just an observer. @ Cecile - I didn't know that! Hopefully new episodes will happen next year then. Gotta love any show that makes cartoon characters of Iggy and Bowie! And don't forget Klaus Nomi! good morning.. yay, made it in time for single file! @ C - that's right! How could I forget him?? Woah, is this the same kid in The Teenagers? @Marcel: No, but he's a good imitator! Maybe his brother! Wow, I could have sworn it was The Teenagers. Dead on! VP, you caught them and James Urbaniak on the Best Show, right? It's worth visiting, it's a pretty hilarious interview. Hey Joe from a hot place. @Brian: Warm in the UK today or are you in hell now? @ C - no! Thanks for the tip! Ah Doris Duke, I think it was you, Joe, who turned me onto I'm a Looser. Freaking love that song. Bought the LP after hearing it. it is so weird to hear them talking as regular people. Maybe not the first Huskers song I heard, but definitely the first I became completely obsessed with. So Joe you peaked my curiosity. Jimmer has a site jimmermusic.com and put out a solo album last summer and as recently as June "The Rave Ups" played a show. @Marcel: So glad. One of my favorite "deep" soul Lps ever. @Brian: Happy Belated Birthday, my friend! think the rest of the office would mind if i took this one out of my headphones & blasted it on the speakers? This could be a Sugar outake or vice versa. @joe: Thanks for the info! I must check out Jimmer!! the beginning of the end for the "du" but what a way to go out. Thanks Joe, stopped counting after sixty. OH Yesss 1985 at Down town Beirut!! Did he just say "No Justin Bieber awaiting her tomorrow"? that's what i thought i heard, greg! Chop me down and count my rings!!! @Greg: Ha ha ha! I think "No Miley Cyrus awaiting her tomorrow..." would be better given the theme of the song. Why do I keep thinking "Rock Me" is a Buff Spring song? don't think I've ever heard a bad cover of this song, but there must be one out there somewhere! Great version of "Tomorrow." Seems I've heard a few lately. parallel bars by robbie fulks and norah o'connor would follow that perfectly. These 45's are killin', Joe, just killin'! congrats on getting the greatest rock star of all time on your show, joe! Bill Nelson loves that song. A grizzly bar walks into a bar and .... Probably tears the place apart. Its not a funny joke. But neither is alcoholism among these beautiful creatures. Hey! What's this amazing instrumental electric guitar bed music!? Brendan, I picture you sayihng that in a Werner Herzog voice. Thanks, Kurt! Very much looking forward to the concert on Sunday and the movie on Monday! A horse walks into a bar, barman says "Why the long face?" Where is glenn when we need him? The NFB has short documentary about the McGarrigle sisters and near the end the documentarian goes to a major radio station to ask why they don't have popular appeal. polar bear takes grizzly bear, paws down. nope. polar bear beats everything. well, except for stupid humans and global warming. wow! that's a great story! 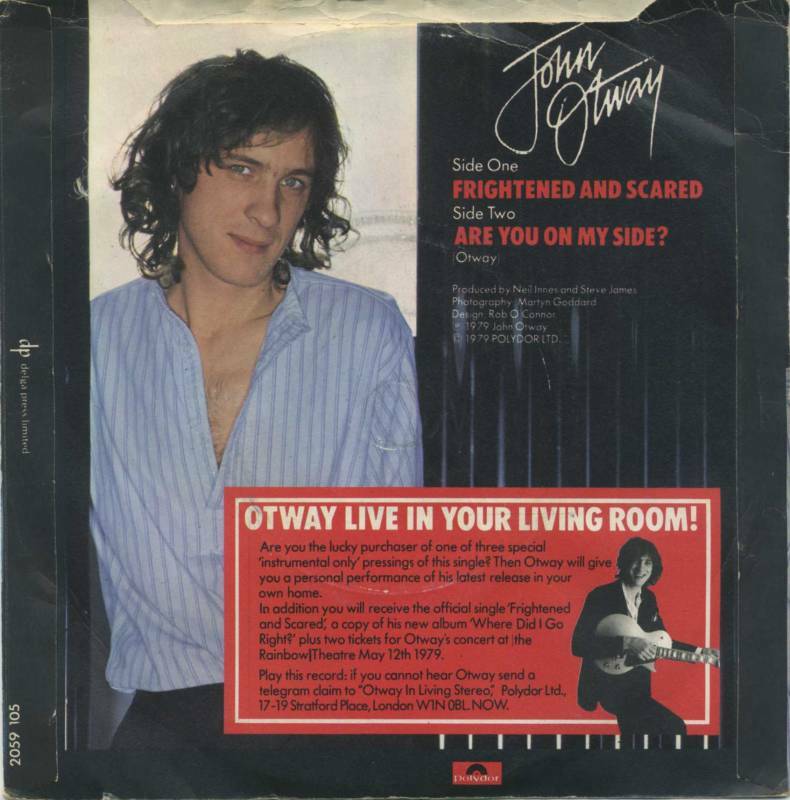 John Otway. I wasn't syre which song he was performing in that clip..? Thanks for the link, Kitty! d'you got the man who shot liberty valance? I do, Cecile. Would you like to hear that one? thanks for introducing me to this dude! I would love to thear that! i Called twice...they must be gone...Good interview Joe...Thank You!!! And Thank you john!!! Sorry, MD, we've got a winner! the man who shot l. valance is a pretty damn fine movie, too. If you need some fun reading, John's two autobiographies, "Cor Baby That's Really Me" and "I Did It Otway" are wonderful. Helpful dates: Theatre 80 this Sunday the 20th (live perfomance) and at the AMC Loews with the premiere of "Rock 'N' Roll's Greatest Failure" on Monday the 21st with a Q&A afterwards. great show once again, thanks Joe! and Mr Otway!